Are These The Last Two Left 4 Dead 2 Campaigns? Could this poster have revealed one of the last two L4D2 campaigns, or is this some terrible hoax? 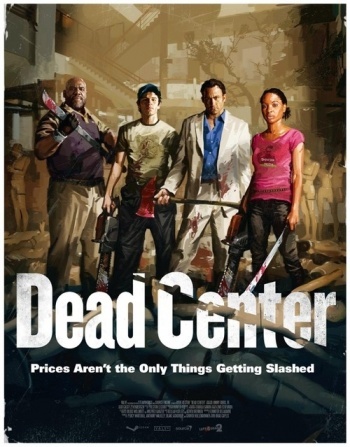 If it are genuine, then we now know what one of the final campaigns for Left 4 Dead 2 will be called Dead Center and will be set in a shopping mall. A second poster, which can be seen here, has revealed that the final campaign might be called Hard Rain and will have an industrial setting. If these are genuine, then we're in for some fun and if they're not, well, they're damn cool posters anyway and if enough people like them, then maybe they might become real.